Despite this, the Rossoblu have actually won three European trophies in the past half-century. You’re probably thinking the UEFA Cup, Super Cup or even the Cup Winners’ Cup, right? If you are then you’re just as wrong as I was when I first heard of Genoa’s continental triumphs. It turns out that Genoa’s European success came in three competitions that don’t event exist any more: the Mitropa Cup, Coppa delle Alpi and Anglo-Italian Cup. I knew of the Anglo-Italian Cup from the hours I spent pottering around in Championship Manager 2 as a youth, but I’d never even heard of the other two. The purpose of this fortnight has been to learn more about Genoa C.F.C., so naturally I did a bit of research on these now-defunct European Competitions. 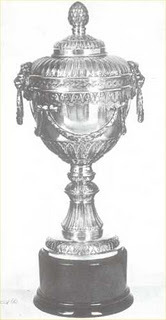 Officially titled La Coupe de l’Europe Centrale (“the Cup of Central Europe”, or “Central European Cup”), the Mitropa Cup was one of European football’s first major international club competitions. Far outdating the UEFA Cup and Champions League, the Mitropa Cup started in 1927 and ran all the way through to 1992. Sparta Prague (then) of Czechoslovakia were its first winners and Borac Banja Luka of the former Yugoslavia its last. The Mitropa Cup was first devised during the fallout of the First World War to showcase the power and dominance of Central European clubs. Austria, Hungary and Czechoslovakia were among the first European countries to establish professional football leagues in the mid-twenties. These teams were considered the best in Europe in those days, and the idea was that a competition between them would reinforce their power in Europe and provide a big financial windfall. The first Mitropa Cup took place in 1927 with two teams from Austria, Hungary, Czechoslovakia and Yugoslavia taking part. Qualification was much like today’s Champions League, with either the league winners & runners-up from each country taking part, or the league winners & domestic cup winners. Italian teams replaced those from Yugoslavia in 1929 for reasons I’ve been unable to unearth, and the competition was expanded to include four teams from each country five years later. Swiss and Romanian clubs joined in 1936, and Yugoslavian teams made a comeback in 1937 with Austrian clubs withdrawing a year later due to the country’s occupation and subsequent annexation by Nazi Germany. 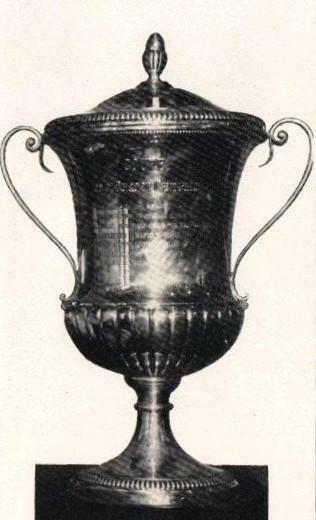 World War II’s breakout forced the competition’s abandonment, and the Mitropa Cup didn’t resume until 1951 (known as the “Zentropa Cup” for one year only). Sadly, the Mitropa Cup had lost much of its lustre by this point. Other European club competitions cropped-up around this time (including a far wider range of clubs) and the Mitropa was no-longer known as Europe’s premier international competition. By the 1980’s its star had fallen so much that it was only competed for by the second division champions of the competing countries, and it was cancelled in 1992 after the last final was competed before a crowd of less than a thousand fans. It took a while for Italian clubs to establish a foothold in the Mitropa Cup. Bologna and Fiorentina won the competition four times between them between 1932 and 1966, but true Italian dominance didn’t come until the 1980’s. Clubs like Udinese, AC Milan and Pisa started winning with increasing regularity and Italian clubs won seven out of the last 12 competitions. Genoa never actually won the Mitropa Cup but finished as runners-up to Bari in 1990. By that point, of course, the competition had already lost most of its prestige but it was a highlight during a not particularly success period of Genoese history. Sadly there’s nowhere near as much English-language information available on the Coppa delle Alpi (“Cup of the Alps) as there is on the Mitropa. This was a much smaller competition though, so the paucity of information is pretty understandable. Using Google Translate, I’ve learned that this competition was a precursor to the Intertoto Cup. Italian clubs created it in 1960, but understandably (given the geography of the alps) Swiss teams were allowed to compete in 1962. German and French teams also took part at various stages, but the competition was, for the most part, a tournament between Switzerland and Italy. It’s hard to tell how prestigious the Coppa delle Alpi was, but the fact that I’ve seen it compared to the Intertoto suggests that it wasn’t held in high regard. Genoa had a decent record in the tournament, winning it in 1962 and 1964 under the tutelage of Renato Gei and Beniamino Santos respectively. Italian clubs dominated the Coppa delle Alpi initially, winning the first six tournaments consecutively. Only Lazio won it after Napoli’s triumph in 1966, however, and Swiss and French clubs took hold of the competition until its demise in 1987. This is the only competition out of the three that I’d actually heard of before I started researching Genoa. I didn’t really know anything about it though, other than it was a competition played between teams from England and Italy during the 1990’s. As mentioned earlier, my first exposure to this tournament came from playing Champ Man and wondering what the heck Port Vale were doing in a tournament with Italian teams. Being 8 I never really had the impetus to read-up on the competition and it was abolished by the time the next version of the game came out, so that was that. 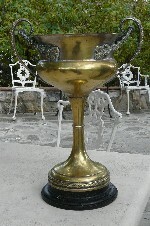 The Anglo-Italian Cup was started in 1970 and initially ran until 1973, before being resurrected in the 1992-93 season for another four years. Its seeds were sewn in 1967, when Queens Park Rangers won the English League Cup but were denied entry to the Inter-Cities Fairs Cup (now the “Europa League”) due to a UEFA regulation preventing third-tier sides from competing in Europe. The same situation arose two years later when Swindon Town won the League Cup. This time, however, a game between Swindon and that year’s Coppa Italia winners Roma was organised to compensate for Swindon missing out on Fairs Cup qualification. Such was the popularity of this game that UEFA announced the Anglo-Italian Cup in 1970 during the extended close-season period caused by the Mexican World Cup. Swindon, funnily enough, won the first Cup. The competition comprised of six Italian teams and six English teams split into three groups of four teams (two from each country). The best team from each country after the round-robin competition met in the final, and Swindon met Napoli at the San Paolo on the 28th May 1970. Sadly, the first final didn’t exactly end as planned. Violence erupted in the stands midway through the second-half with Swindon 3-0 up forcing the match’s cancellation. Swindon with rightly awarded the victory, and Blackpool continued England’s luck in the competition with an extra-time win over Bologna in the 1971 final. Blackpool made the final again in 1972 but couldn’t repeat the previous year’s feat and fell to Roma, while Newcastle bettered Fiorentina in 1973. A lack of interest in the competition saw it cancelled after 1973, but it was soon resurrected in 1976 as a competition for semi-professional clubs. The Anglo-Italian Club ran with this format until 1986, with Sutton United, Monza and Modena among the winners. The Anglo-Italian returned as a professional competition in the 1992-93 season, but only for clubs from Serie B and the English First Division. The group stages were cut down to feature just four clubs from each country, but the final still featured the best performing team from each country. Cremonese, Brescia and Notts County won the competition before our boys Genoa had their moment in the sun in 1996. The Rossoblu smashed Port Vale 5-2 in the final, with captain Gennaro Ruotolo scoring a hat-trick. This was the last time the Anglo-Italian Cup was ever contested as the competition was abandoned the following season when the two leagues couldn’t agree on fixture dates. I can see why such a competition could be hugely impractical given the huge amount of games teams have to play these days, but the Anglo-Italian Cup sounds like a lot of fun. It’s a shame it doesn’t run any more: surely such a competition would be welcome entertainment during those long, boring summers that aren’t taken-up by a European Championship or World Cup?